What motivates a customer to buy? When is the best time to contact a prospect? When is an existing customer likely to make their next purchase? What is the best price point to win a deal? 1. AI can help businesses find their next customers. A study published in Harvard Business Review showed that companies that use AI in sales have increased leads and appointments by 50 percent. Automated sales assistants are already helping companies sell more by engaging all leads in human conversations, without a human salesperson present. These AI-powered assistants engage potential customers in natural, two-way email conversations—and keep engaging them until they either express interest or specifically opt out. Automated sales assistants are dedicated; they never quit or take a day off. They pursue every lead for as long as is feasible. Then they can hand off customers to actual salespeople at the exact time the customers are ready to engage. Then, equipped with details from the AI conversation, salespeople will be in a much better position to engage that prospect and convert the sale. 2. AI can help uncover a prospect or customer’s intentions. The technology can be used to monitor and analyze thousands of first- and third-party signals. These signals may include a number of actions, such as what particular pages of your website the prospect visited, how much time they spent there and whether they opened a document on the page. There are many other signals as well. Did the prospect visit one of your tradeshow booths? Did they call support? Attend a webinar? View a product video? AI can make sense of thousands of different data points and know when a prospect is actively researching a particular product or service. This analysis enables sales reps to engage leads with the highest buying potential. AI can even provide an accurate prediction of a particular deal’s likely outcome, including the chances that it will close and how long it will take if it does. This means the sales team can tailor their approach to create a winning deal or walk away early if there’s little chance of a conversion. 3. AI can optimally pair customers with reps and support agents. It can predict the outcome of interpersonal exchanges by analyzing factors like past interactions, demographic data, and contextual data to determine whether a particular customer engagement will be successful or not—and why. AI can segment audiences by gender, location, purchase history, web behavior, etc., then dive deeper with insight to individual prospects. It can then look for and assess patterns that will help predict the outcome of an engagement. Specifically, it can determine which pairings of customers and reps are most likely to lead to a successful outcome. 4. AI can create personalized messages that will resonate best with each prospect or customer. This can also help determine the right channel to deliver a targeted campaign. There are AI tools on the market today that can predict the personality of any prospect or customer, based on analysis of their public written information. The tool can even provide personalized email advice and communication recommendations, based on the unique dynamic between the sales rep and the customer. 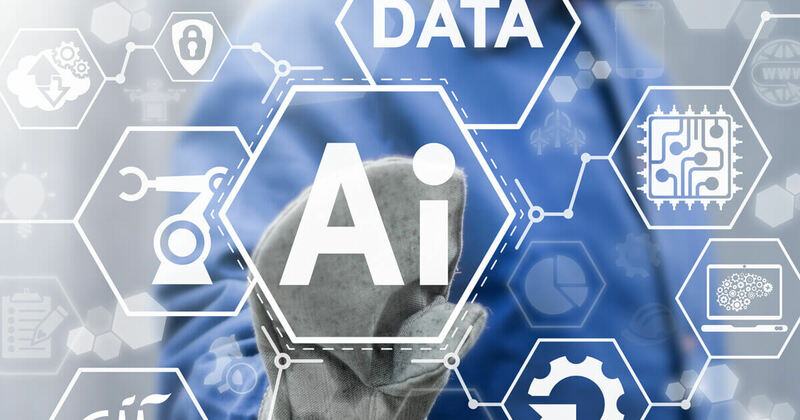 The reality is that companies now have more consumer information than ever before, and AI provides a way to keep learning from this data and optimizing the sales process. A recent study published in the MIT Sloan Management Review found that 76 percent of companies with at least $500 million in annual revenue are targeting higher sales growth with AI and machine learning. AI promises increasing sales engagement by providing sales reps with prospect information and key insights to drive more meaningful conversations and rapport-building. AI in sales is all about empowering and augmenting sales reps. In the end, it puts salespeople in stronger position to engage customers and convert more sales. Raju Vegesna is chief evangelist at Zoho, a leading business solutions provider that powers thousands of users across 40 countries with business management, sales and productivity technology. Vegesna is an accomplished leader in the SAAS industry and has more than 25 years of experience developing software products that meet the sales, marketing, human resources, and project management needs of today’s businesses. He is recognized for leadership in developing cost-effective cloud computing products that drive sales growth, operational efficiencies, and improved business productivity.